It’s no secret that a veteran recruiting strategy can bring a ton of value to your business. But, if you’ve been in talent acquisition for a while, you’ll probably agree that many recruiters often overlook vets when working on tough-to-fill jobs. You might be spending your days digging for that purple squirrel, when the perfect veteran candidate has been sitting right under your nose all along. In this post, I’ll show you exactly how veterans benefit your business and what you can do to jumpstart your veteran recruiting strategy today. Think about it: You’re providing opportunity to someone who risked their life to fight for our freedom and protect our rights. But, it’s not just about good vibes — hiring veterans also benefits the productivity of your business as well. That’s because veterans possess skills and experience that can have a positive impact on the bottom line of your organization. #1. Veterans have proven leadership experience. Look, everyone wants to hire a leader. Even if you’re not hiring for a “leadership position,” I’m sure you want all of your employees to know how to delegate work, team up with various personalities, and inspire others toward results. By design, the military teaches these leadership skills. And they learn it in the most high-stress environments possible. It explains why the majority of companies who partook in a veteran hiring research study said they perceived veterans to have especially strong leadership skills. And also why 93% of post-9/11 veterans are interested in serving as a mentor to your other employees. It’s because soldiers in the armed services learn important leadership skills faster than in the common workforce. So, in short: veterans learn how to lead for survival. And they can translate those skills to help lead toward your business goals, too. But, it’s not just their experience as leaders that should draw your attention — their ability to work as part of a team is pretty amazing, too. In business, teamwork and collaboration often play a critical role in the success of a project. But in the armed forces, the lives of your fellow soldiers can depend on it. And as a result, the communication skills of veterans are generally best-in-class. The ability to motivate a team and give direction is part of it. But, veterans also know how to understand complex team dynamics and drive results through clear, concise actions. Look, we’ve all been there before: you make a bad hire and all of a sudden have an employee who never seems to take their job seriously. Veterans are often the exact opposite. That’s because the military instills responsibility in soldiers by forcing them to follow a strict code and adhere to policy. There’s no room for slacking off — and veterans bring that same focus and responsibility to their jobs after their service has ended. It’s the reason why 20% of veterans in the workforce are director level or above: their skills and experience help them accelerate into leadership. It’s a simple fact: whether a veteran was a combat soldier, engineer, or in operations, they were all taught the same thing: achieve the goal above all else. That means overlooking differences and working alongside team members of a different race, religion, gender, or ethnicity in the name of completing the mission. The task at hand is the one and only priority and veterans understand that in order to accomplish their goal, they need to work together as one. And it’s precisely that global point-of-view that makes veterans so conducive to an increasingly diverse workforce: their mission-first attitude means they look at the skills and experience people bring to the team before their race, gender, or any other differences. Convinced that veterans can add tremendous value to your organization? Wondering why you haven’t been hiring them all along? If you don’t have a veteran recruiting strategy yet, it’s not too late to start. Remember when you started recruiting and first learned how to interview candidates? You probably had a specific set of questions you learned to help you identify whether a candidate has the right skills for the job. It’s no different with veteran hiring. But, you do need to learn a different set of questions. Think about it: instead of asking job or task-specific questions, it makes sense for you to ask questions about a veteran’s background that draw out their experiences, and then spend time analyzing how those experiences might add value to your work environment. How would you describe your military roles in civilian terms? Looking at your recent military work experiences: what key knowledge, skills, abilities, and experiences would you say are most valuable? What was your primary mission and what did it take to accomplish it? Give an example of a time something didn’t go as planned and what you did/learned from the experience. You might also try checking out the amazing skills translator from Military.com to find out how a veteran’s skills match up with a job within your organization. If you read our previous blog post, you know there’s a big difference between a traditional recruiter and a true strategic talent advisor. And one of those differences is that a talent advisor takes time to sit with their hiring manager to understand the “must-have” skills versus the skills that can be taught to the right candidate. Those conversations become even more important when it comes to a veteran recruiting strategy. Many vets may not have the “hard skills” that qualify them for an open position at your company. But that doesn’t mean they can’t learn them. Part of a successful veteran hiring strategy is understanding that if a skill can be taught, it’s worth investing the time in training and developing veterans with big potential. This is especially true considering that the military pays for education, so veterans have the resources available to learn any of the necessary skills. Of course, in order to hire veterans, you actually need to find them first. Sure, you could go through the laborious task of writing out long, military-focused Boolean strings to identify service members. But frankly, it’s too time consuming. And now that SeekOut allows you to identify military veterans from over 100 million U.S. profiles with just the click of a button, it’s unnecessary, too. If you know your company doesn’t already have a game plan for recruiting veterans, take it upon yourself as a talent advisor to speak to your leadership team about making veteran hiring an initiative. And then, with leadership approval, promote your company as one that welcomes veteran talent. Because your biggest problem might be perception. Veterans are concerned about their own job hunt. In fact, 74% believe it would take them longer to find a job than a non-veteran with the same level of work experience. So, the more you can advertise that your company welcomes veteran talent, the more likely they will be drawn to your organization. Your brand matters. Make it a point to highlight that you offer the resources, tools, and environment that will allow military veterans to thrive. Veterans offer both the hard and soft skills that can drive the results your business needs. And that’s why the best thing you can do for your business right now might be to hone in on your veteran recruiting strategy. 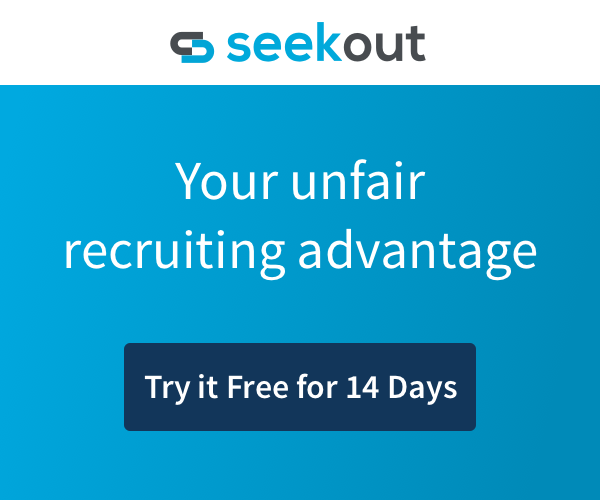 If you’re looking for leaders, learners, executors, and performers, identify them with one click by requesting a free trial of SeekOut.